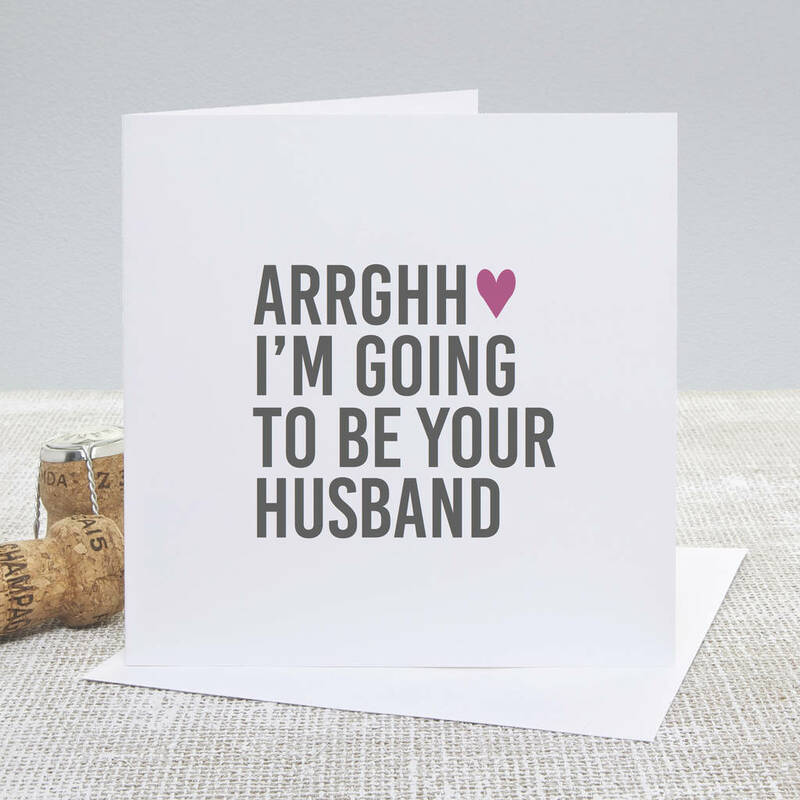 Our 'Arrghh Your Husband' Wedding Day Card is the perfect to send to your beloved on your wedding morning. 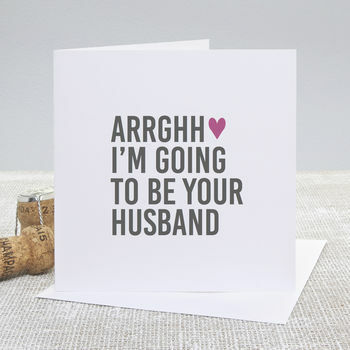 Designed and made by Slice of Pie Designs this card is part of our new Bold Graphics range of wedding cards. Perfect for fresh, modern weddings to send your words of love to your future Mr or Mrs on your wedding morning.